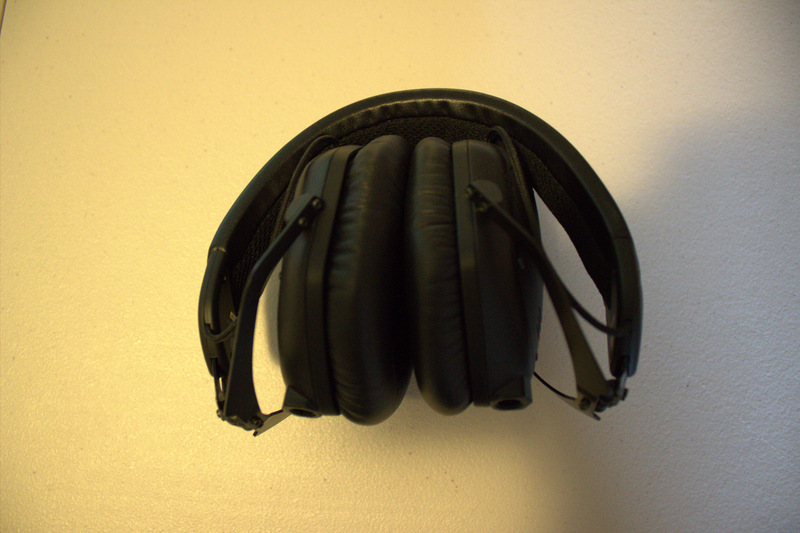 The two audio cables are meant for use with the headphones as well as for sharing audio with someone else since both ear-cups include 3.5mm jacks. Since the M-100 is such a high-end audio product V-Moda has included a 6.4mm adapter in case you want to use the headphones with an external amplifier. Sound quality is absolutely amazing whether you are listening to music, watching a movie, or playing games. Unlike the vast majority of headphones that I have used in the past, the M100?s became my primary headphones for all use situations at my computer or on-the-go. Regardless of the sound quality is awesome, there is more than just the sound that make the M-100?s a premium set of headphones. The level of comfort with the M-100?s is outstanding just like the sound quality. V-Moda uses memory foam cushions so that the headphones are almost automatically formed to your ears. The ear-cups were comfortable but one of the main areas that many headphones fail is on the top headrest which tends to not have enough padding to provide a comfortable user experience. Once again, this is not an issue with the M-100?s, the headrest has more than enough padding to provide a high level of comfort even after hours of use. Unfortunately, every product tends to have its downfalls and while there are very few with the V-Moda M-100, they do exist. Even though the sound quality was good, an audiophile will find times that the mid-range sounds are lost on some tracks. This issue mainly appears on songs that have a strong bass. When it comes down to it, this is such a small issue that it does not actually detract from the overall quality of the headphones. It’s hard to find headphones that are able to provide comfort and great sound quality but the M-100 is able to offer both. The price is definitely not something to laugh at considering its about double what a “regular” set of headphones would cost, but if you are a true audiophile, then I highly recommend picking up the M-100 headphones from V-Moda.